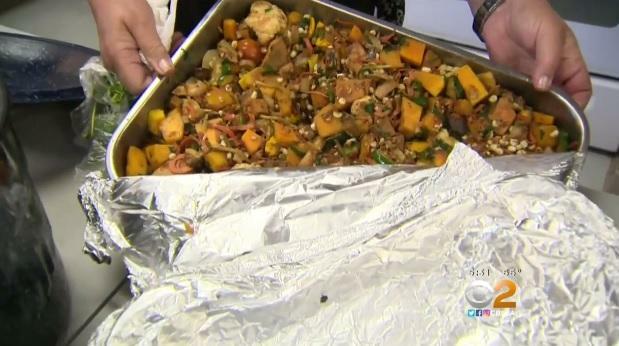 MALIBU, Calif. -- A Malibu church that has helped the homeless for years has been asked to stop feeding people who are down on their luck. CBS Los Angeles spoke to the people at the United Methodist Church about the request. Workers at the church say they are able to serve as many as 100 people. They've been serving meals on Wednesdays since 2014. But now, the food service will come to an end after Thanksgiving at the city's request. "It's a safe place," said Michah Johnson, who is homeless. "And everyone is welcome. And the food is really good. It's home-cooked. And there's TLC involved." "The church is very helpful," he added. "They keep my spirits up. They keep me accountable. When you're homeless, it's very easy to slip off and become jaded." The church says the city sent an email asking members to attend a meeting on Monday, where they were asked to stop feeding the homeless. "Very succinctly," said Dawn Randall, who works with the United Methodist Church. "They claimed we are increasing homelessness." "I think many of them eat out of dumpsters and trash cans when they aren't eating with us," said Kay Gabbard, who also works with the United Methodist Church. "We can't pretend like (homelessness) doesn't exist in our backyard. We can't pretend that it only exists outside Malibu." CBS Los Angeles reached out to Malibu's mayor for a comment. They have yet to hear back.